As a young girl I loved to read Anne of Green Gables, over and over – what a character! She was impulsive, romantic, honest, open, free, imaginative. She was also always getting herself into a whole heap of trouble! She was a bit of a trouble magnet, mainly due to her hot headedness and her quick fired temper – who can forget her breaking her slate over Gilbert’s head for calling her ‘carrots’? 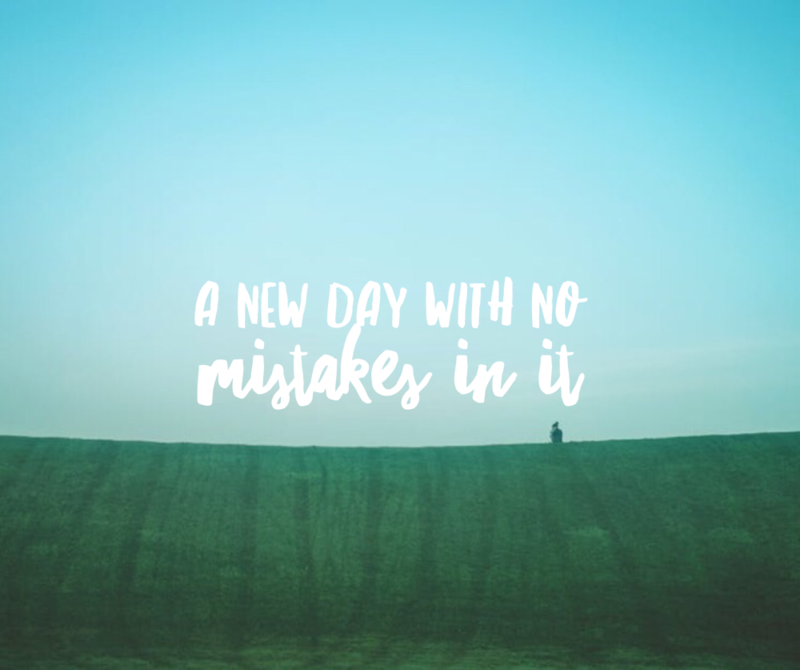 One of the things said in the book that has always stayed with me is this “tomorrow is a new day with no mistakes in it”. No matter what has already happened in our lives, each new day gives us the opportunity to start again, to look ahead with positivity. What can this new day hold for us we wonder as we sip the first cup of tea of the day? Anything we like. Sometimes if the week starts bad, or the month, or the year, there is a tendency to keep dragging that old stuff, negativity, bad experiences, anger, hurt, resentment, feelings of failure into every day, carrying them with us. Spend time each night shaking off any negative feelings. TELL yourself that tomorrow is a new day with no mistakes in it and BELIEVE IT. Have a bath, wash away your negativity. Sweat it out at the gym. Sit outside in your garden or back yard (or local park!) and let the breeze blow it away. When the morning comes, greet it like a friend and see the possibilities that are there for you. Take some time, alone. make the tea (or coffee) and set your intention. if yesterday was shouty, intend it to be calm. if it was messy, envisage and plan for a day of gentle clearing and sorting. This doesn’t mean that nothing will go wrong today. Because it could! It is more about a shift in attitude. EXPECT good things to come your way and for things to go right for you. And you know they just might. After all, as the car bumper sticker says, ATTITUDE CHANGES EVERYTHING. « HAPPINESS HACK: It’s the little things… that wear you down!